How much cash do you really need to buy an entry level home? How much cash do you really need to buy an entry-level home? Well, it depends. But for the sake of keeping this geared to an entry-level purchase, we are going to go with bare minimums. I consider entry level up to about $225,000. Depending on what type of loan you are getting and the deal that you have negotiated on your purchase is really going to dictate the amount of cash you can expect to need. But for the sake of this blog, we are going to assume that you qualify for one of the zero down programs and do not have to come in with a down payment. 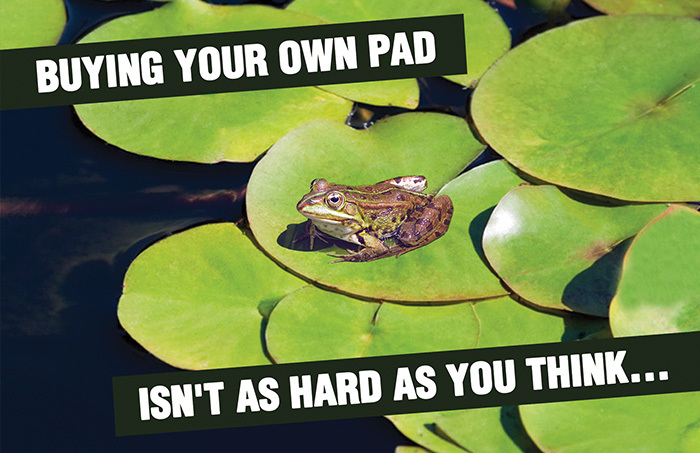 Buying Your Own Pad isn’t as hard as you think! Typical expenses that are going to come out of pocket are. And mind you these are subject to an area but in our current market, you can expect these type of numbers. Great Representation from me: Free Usually a seller expense! Earnest Money: Usually ranging from $500 to $1000 due at the time you make an offer on a home. Depending on the loan you are getting you could see this back at closing. Some of the Rural Development loans, and Idaho Housing for sure. Home Inspection Fees: If you are choosing to do a home inspection (really recommend it if you are not very flush with cash). Hate to have you buy something that is going to be a money pit. That is a recipe for disaster. Home Inspection usually runs around $300-$350. Depending on the size of the home. This is usually due to being paid for at the time of service and that is usually within 10 days of an accepted offer or less. So you’re going to want this on hand prior to making an offer. This is totally your expense. You will own this home inspection even if the house is so horrible you decide you don’t want it. Appraisal Fees: Some lenders make you pay for your appraisal out of pocket some don’t they will wrap it into your mortgage. This is a question to have settled prior to making an offer on a home. I am seeing them come in on closing statements lately around $600. Closing costs: Most entry-level home buyers wrap this expense into the offer and request the seller to pay them. Usually, this fee will get added to the cost of the home. Even though the seller “pays” them that is a technicality and usually gets wrapped into the price of the home. A good example of that says the house is for sale for $205k. And the seller is willing to take a cash offer for $200k but you come in and say I need my closing costs paid. Seller will probably say yes but the price is $205k to cover it. So it will hurt your negotiations a little bit over the long haul to get out of the rental cycle probably not something to be too worried about. Closing costs and prepaid usually run around 3% of sales price if your curious of what you could come in with. So as you can see with some good planning and negotiating you could easily be getting into your own home for under a couple thousand dollars. Or less. Really not more than what it takes to get into a nice rental. First and last rent and your pet deposit. Are you ready to get started? You can set up your home search below and contact me to guide you in the right direction to get you started on the path of homeownership. And remember this is a process bring your questions. The only dumb question is the one you wouldn’t ask.